Atmospheric, chilled, this is a Romantic piece of swaying electronica crossed with actual instruments, a morsel of music as stark and fresh as a cold Spring day with the sun out and the sky blue dotted with white tufts of cloud. It comes from Irish musicmaker Alan Keary aka Shunya, who adds the muted glitter of plucked guitar and soaring lilts of violin freely; flute, chilled and jazz-tinged, blows through airily, and saxophone adds peals of soul later on, a whole host of tones and timbres, representing the very non-uniform variety of mountain slopes and escarpments. This Bonobo-flavoured track is called 'Mountain Gazer'. Succulent percussion layered and rich clicks and tick-tocks sumptuously, providing that texture like a stream rippletrickling around rocks and breezed leaves sheafing and rustling together creaking trees footsteps crunch-scraping on pathway gravel all at once—lovely organic instinctual noises. The explosive handclaps, thuds, clunking noises, snare hits, hi-hats, rainsticks, shakers, all of this adds its rhythmic ambience to the wavy segments of sidechained sound, the rumble of bass and warm chords, fading in and out. This sonic scenery, its mix of instruments, the culmination of it all, feels just like the detached drama of looking at a mountain landscape—ridges into the distance, peaks into the sky, between the green earth and vaulting blue. 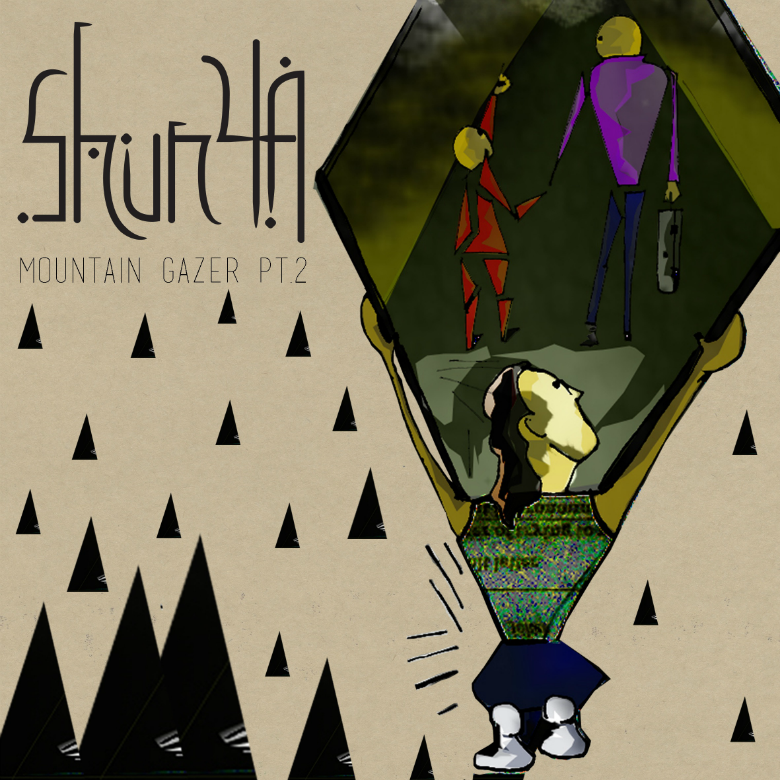 🔔 This track comes from Shunya's Mountain Gazer pt.2 EP, available for listening and purchasing on Bandcamp.